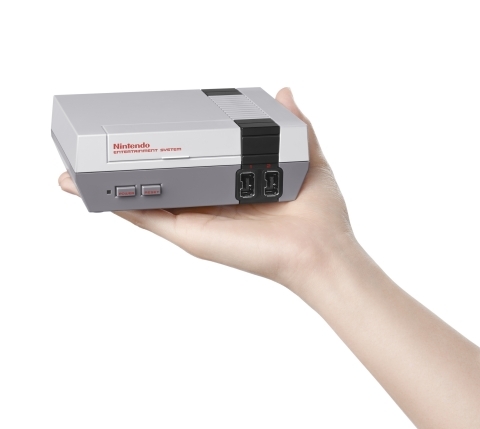 To help you relive your childhood gaming memories, Nintendo has just introduced the Nintendo Entertainment System: NES Classic Edition, which is basically a mini replica of the original NES console, that comes pre-installed with 30 classic NES games. The system will hit the stores on Nov. 11 at a suggested retail price of US $59.99 (possibly CAD $79.99), with the ability to plug directly into your high-definition TV using an included HDMI cable. The console’s built in games include beloved classics like Super Mario Bros., The Legend of Zelda, Metroid, Donkey Kong, PAC-MAN, and Kirby’s Adventure. 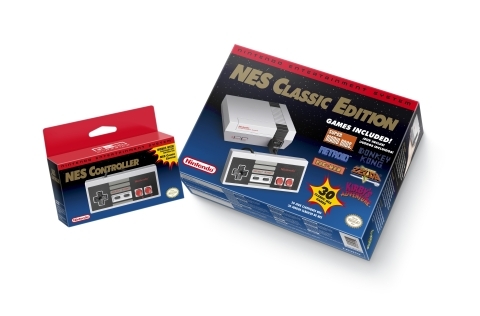 The system comes packaged with an HDMI cable, an AC adapter and one NES Classic Controller, which is patterned after the iconic design of the original NES controller. Will you grab one when it hits the shelves later this year?